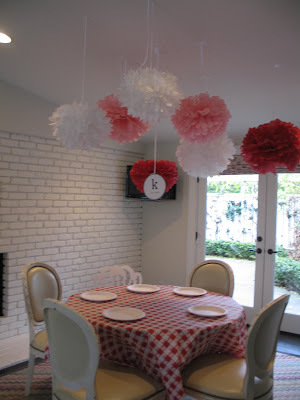 My friend Jennie (who threw the adorable backyard BBQ) hosted THE CUTEST birthday party for her daughter Kate. The theme was Kate's Bakery. 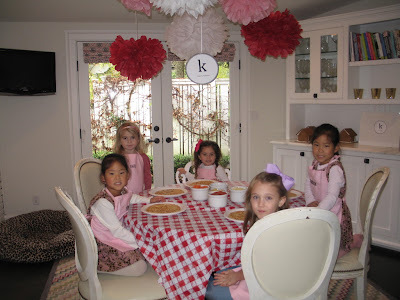 When the girls arrived, they all received little pink aprons with their names embroidered on them. 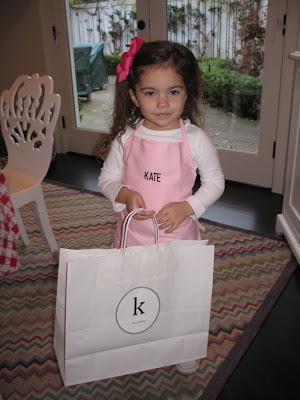 The girls got to wear the aprons while baking at "Kate's Bakery" and also got to take them home as their party favor. Such a cute idea. For lunch they got to make and bake their own little pizzas. 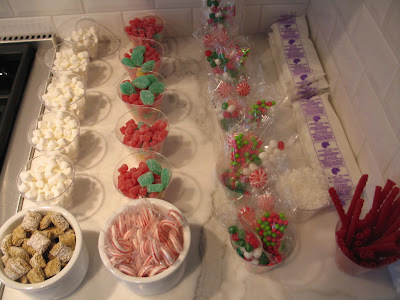 After that they all sat down to design their very own gingerbread house with a plethora of candy decorations. 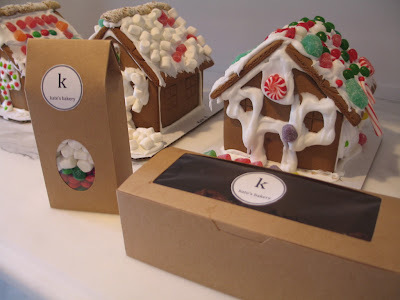 She also had sugar cookies for them to decorate and then everything was packaged up in little bakery boxes and favor bags. The girls were all so excited to go home with their little creations. 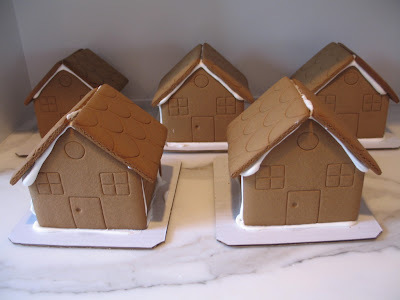 This party theme works especially well during the holidays, thanks to the gingerbread houses, but you could come up with another way to make it work - decorating cupcakes, cakes, and cookies for example. The bakery boxes are part of Martha Stewart's "Box Kit" sold at Michael's. 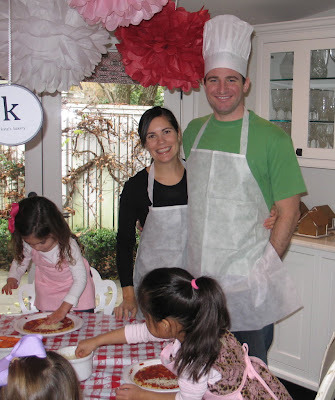 The aprons are sold online at Growing Cooks. 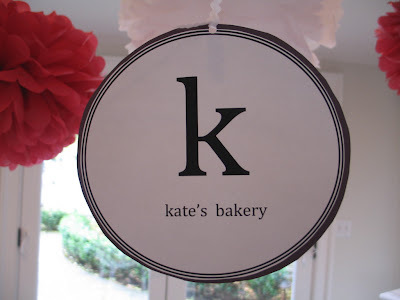 Now check out all details at Kate's Bakery, including those darling hosts! 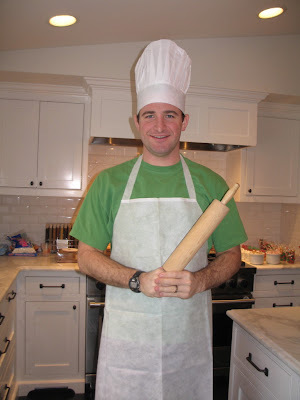 Illegal - posting a picture of me in a cheap, chef's hat. I look like Chef Bork from "The Muppets".